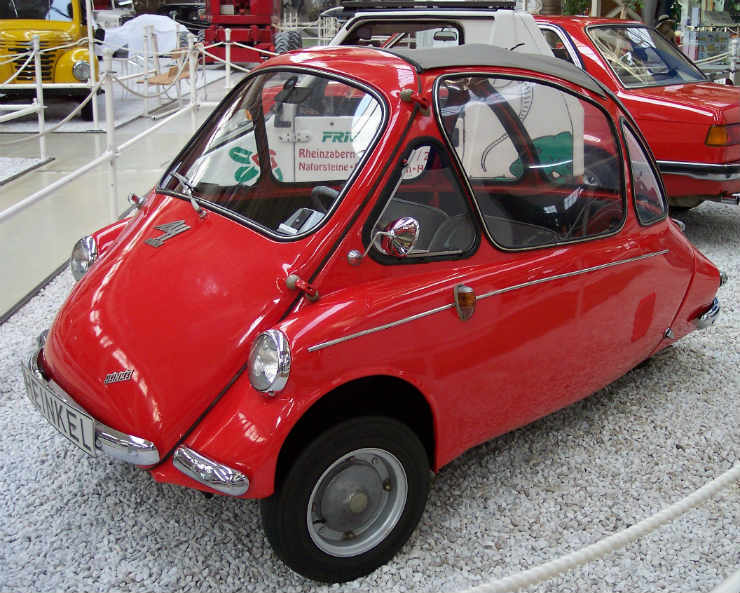 This was a really cool looking microcar that was designed and built in the 1960’s. The cool part about the car was the way it was designed. The glass roof looked like one of those we would see in the cartoons from the future like the ‘Jetsons’. This flying saucer type design makes the car look cool. It was cheap to buy and was powered by a 49 cc engine making 4.2 Bhp. 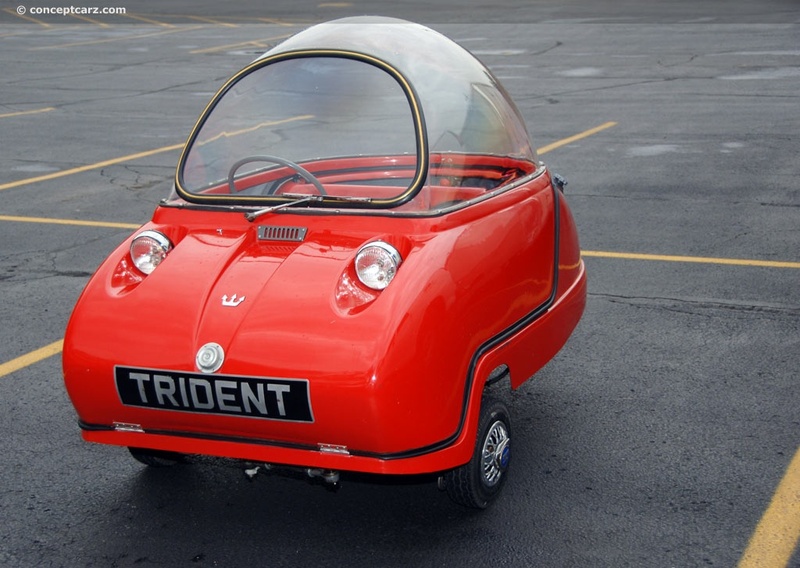 The company was located in the Isle of Man and was the company’s second micro car after the P50. This one was built by the Spanish post WW-2. 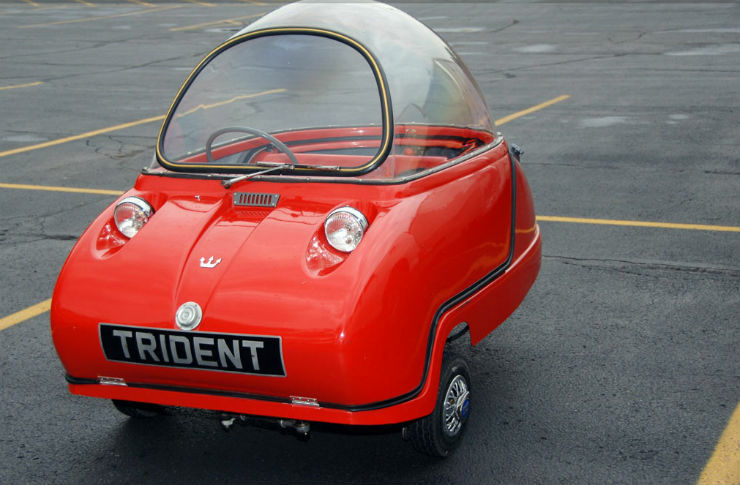 Since the conditions there weren’t so good after the war, the Spanish government decided that they have to come up with a way of manufacturing micro cars. The Biscuter was one of those. It had no doors or windows and came with a fabric roof. 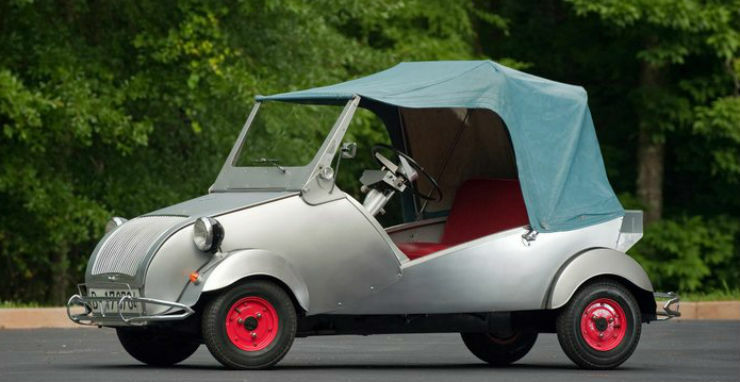 It was built by Autonacional and featured a 197 cc 2 stroke engine making 9 Bhp. The Kabine was designed by Heinkel Flugzeugwerke. The vehicle was introduced in 1956 and stayed on till 1958. The reason for him building this car was the inspiration from the Isseta. It was powered by a 198 cc 4 stroke engine. The car was a monocoque and was extremely light. 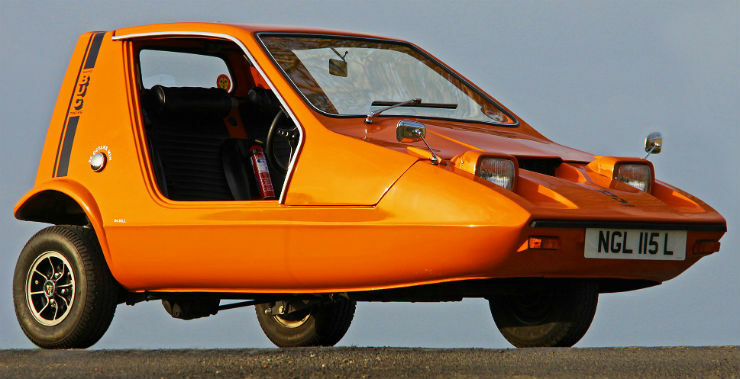 The Bond Bug was formed as a collaboration between Reliant and Bond. The car is actually very nice looking. It had a single entry point for which the roof opened upwards. The body was made up of fiberglass. It was powered by a 701 cc engine making 29 Bhp and the engine was mated to a 4 speed manual transmission. The production lasted from 1972 to 1975. This car was designed by a Danish company called Mini Ei. 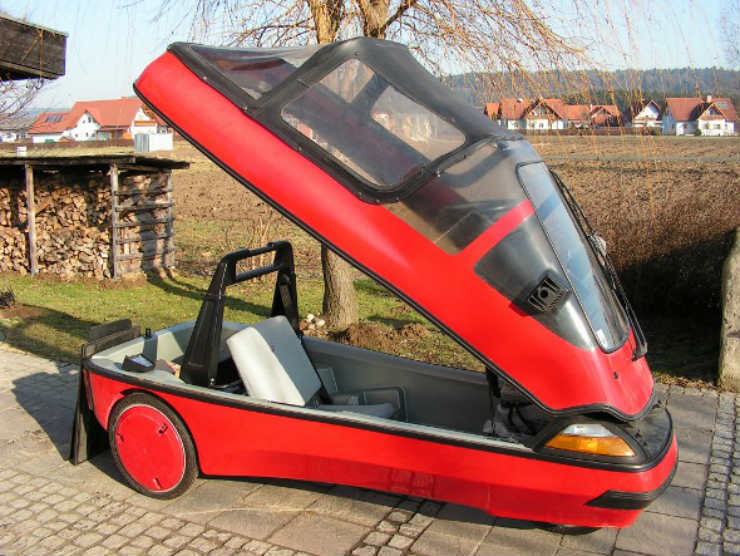 It is a 3 wheeled light weight electric car that was designed in Denmark but later made in Germany. It had a really nicely designed body and was pretty capable as well. It was powered by a 4 kW motor which had the range of 70-90 kms. It had a top speed of 63 kmph. It only sat one person and the car came in multiple variants. The fact that it looked so good and had such a long range made it extremely cool. The C5 ins a single person battery operated vehicle. The vehicle was mainly made up of polypropylene and weighed only 45 kgs with a battery. 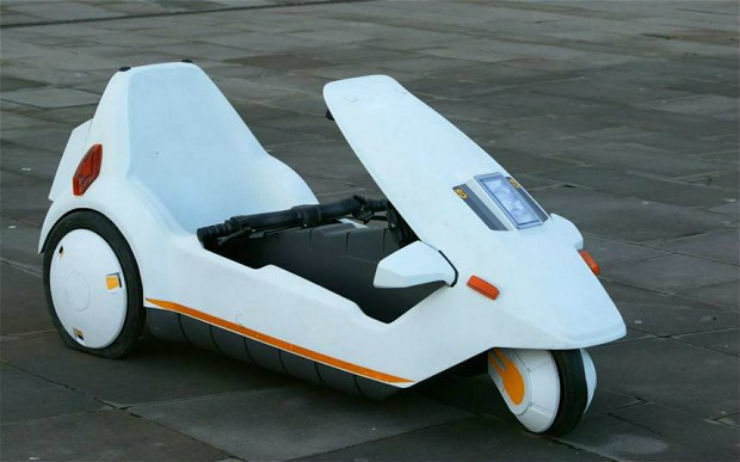 It was a result of Sir Clive Sinclair’s interest in electric vehicles that the C5 was built. It was unveiled in January 1985. The company produced close to 14,000 units but only 5,000 of those managed to get sold and in August 1985, the company shut shop. The C5 was capable of doing upto 32 kms on a single charge which is adequate. « A 1040 bhp Hyundai? Yes, that happened.